"Born for RC Fanatics," RunCam is now celebrating their third year of offering photographic equipment for the RC market. 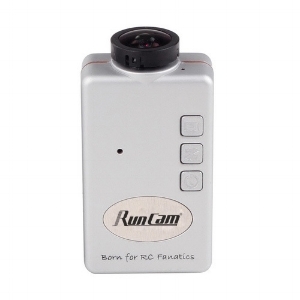 The RunCam 1 is a great camera for still work Internet images and smaller format printing. However, it has one slight problem that can easily be corrected in any basic photo editor application. With photo files taken directly from the RunCam 1, they first appear distorted—elongated on the y-axis. This 5-MP-file measures 2592 x 1944 pixels, but those 1944 pixels on the y-axis are too many which results in the elongated image. A simple fix for this is to edit the image size down to 1473 pixels on the y-axis and keep the x-axis at the same value (2592). Using a credit-card gimbal mount, I use my RunCam 1 on typical toy-grade UAVs like the MJX-X600 or the Syma X8C. It's an easy payload for the X8C, but can be a slight tax on the X600—likely requiring the higher power mode. Not long ago, one of the six motors burned out in mid-flight on the X600 while hauling the RunCam 1. Luckily it wasn't too hard to navigate the craft back under five motors even if it wasn't a graceful landing. As of this writing, the RunCam 1 is now available for $49.99 (U.S.) directly from RunCam's web site. It's likely that better deals can be found from other on-line stores.